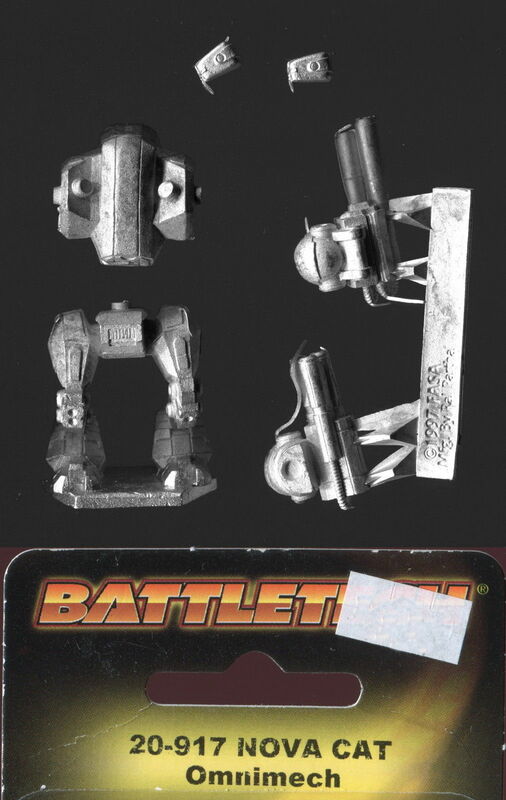 Produced by Ral Partha for the FASA science fiction rules system Battletech. Distributed by Ral Partha Europe). Battlemech 20-917 Nova Cat omnimech. Six-piece white metal casting – the lower body, legs and base are cast as a single piece, the upper body and head another piece and the arms are cast on a separate sprue. The model stands approximately 40mm tall on a truncated hex base the underside of which is marked © 1997 FASA Mfg by Ral Partha. 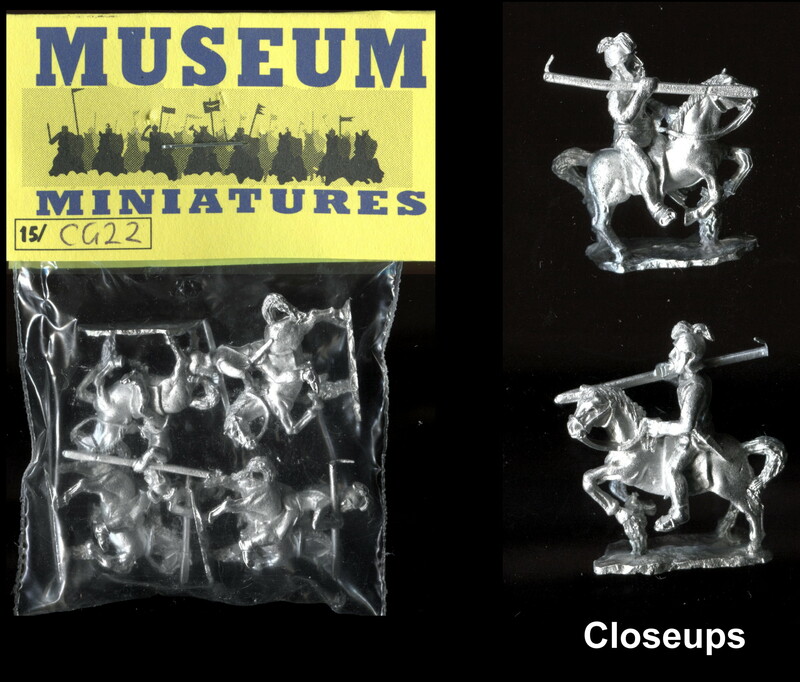 The sprue of weaponry is © 1997 FASA Mfg by Ral Partha.